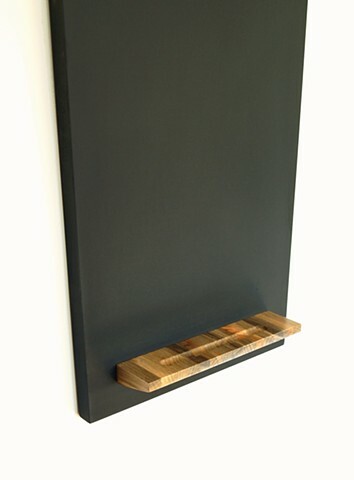 Modern chalkboard tray made from Beetle Kill Pine (also called blue pine). The pine has been assembled as a butcher block to show off the variety of color in the wood. It has also been undercut to create a wedge profile.